It is now extremely easy to thinly chop any vegetable! The Multi-functional Spiral Slicer Food Chopper will slice your veggies with a pull of a single string. Gone are the days of hurting and cutting your fingers trying to chop veggies with knives. Simply place your roughly cut vegetables inside, and let the Multi-functional Spiral Slicer Food Chopper do its magic! Pull cord is easy and ideal for chopping food, with anti-skid base and transparent body. Perfect for slicing vegetable/fruit salads, cutting various foods , chopping herbs, veggies, pesto and more. 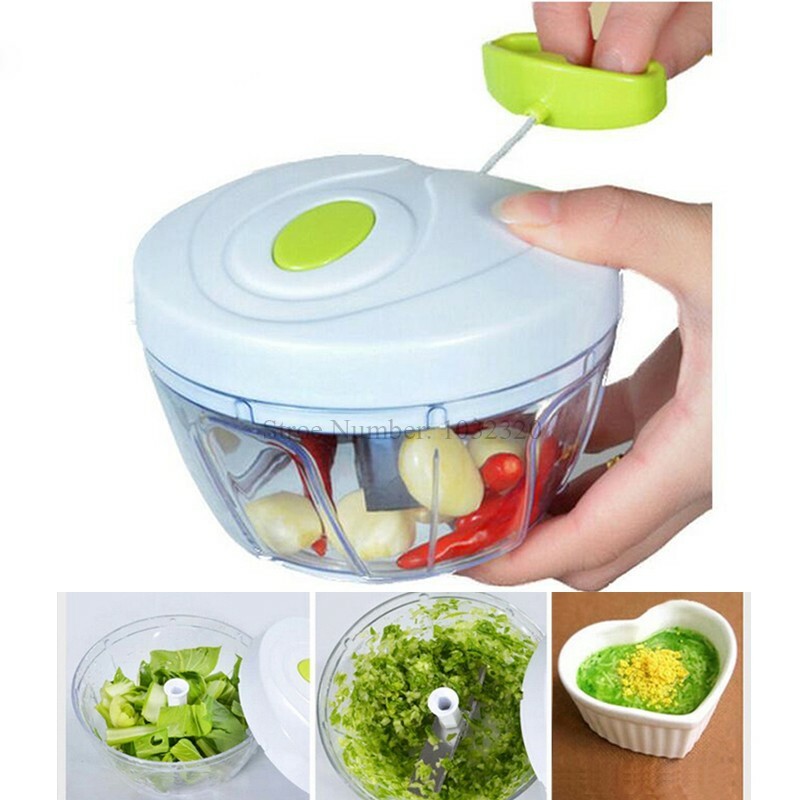 Safe and convenient for use, making vegetable preparation fun and easy; easy to clean after use.